First, I want to get something straight. 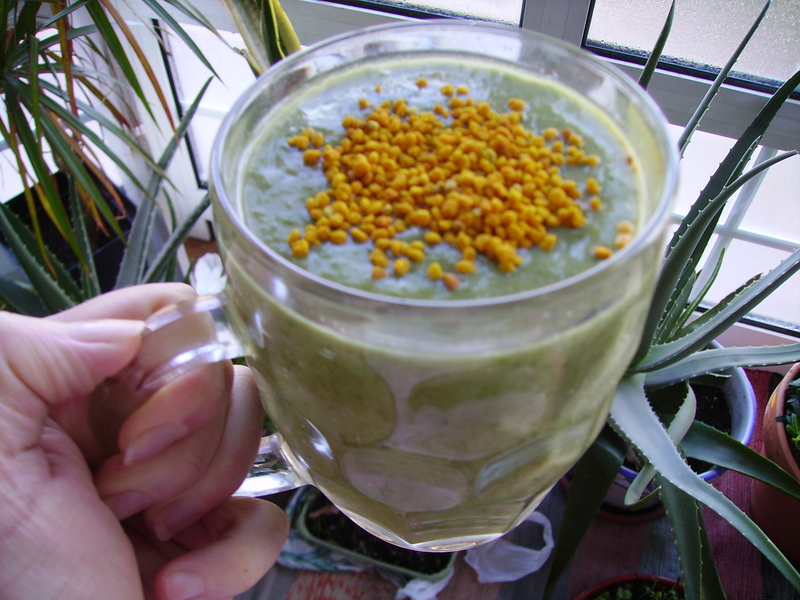 I´m a vegan, yet I use bee pollen. They seem mutually exclusive, and I admit that for years I did not touch anything that had honey, propolis, or beeswax. I probably chose some products that were less natural or ecologically manufactured out of strict dogma. It is an animal product, and as a vegan I didn´t want it. Well, fast forward a few years. For the first time in my life, I began to suffer from seasonal allergies. Last year was the first year that it happened and I found myself trying many things that I otherwise would not allow into my body. I took antihistamines, which worked to an extent but were not great. I even tried homeopathy, and homeopathic pills are virtually impossible to get without lactose. I told myself that I was doing the best that I could, but was I? I have known for a long time that local honey has some profound effects in terms of allergy prevention. I just did not want to go there. This year though, before the Spring hay fever blitz begins, I have already begun on a regimen of bee pollen. And surprise, surprise, I love it! Wow! What a great smoothie idea! I have a hard time explaining to others about why I choose honey/bee products as an essential addition to my diet, but I’m vegan first for health reasons, and not having allergies definitely correlates with that.